Latest database for Mysterboxes. It's the Chinese New Year and oriental items are up for grabs! But as Chinese New Year falls on the same day as Valentines Day, you are getting romantic items too! 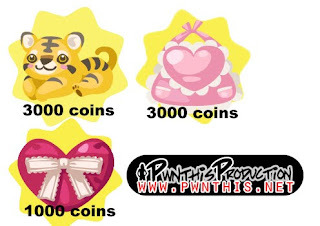 So on a quick note, www.Pwnthis.net wishes everyone a happy chinese new year and a lovely valentines day! This is a total of 10 different download providers. If you still cant download, it's not the links but your connection. Thank you. Enter the Luxury Shop and you should see the mysterybox items. Have fun! 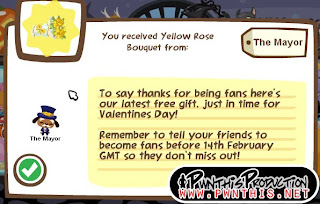 And also, be a fan of Pet Society and get a Bouquet of Yellow Roses FREE!